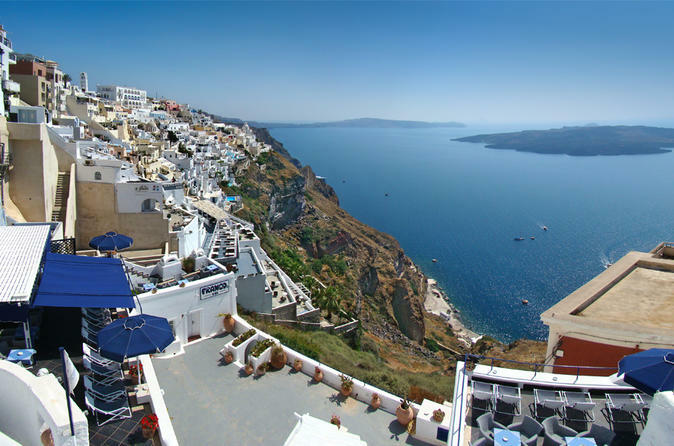 From the 13th to the 16th centuries, Venetian settlers on Santorini built five castles to protect themselves from pirate invasions. The ruins of these castles still stand today, and this tour is a great opportunity to see all five in one day. Start the day at the castle of Akrotiri in the south, then drive north and visit ruins in Emporio, Pyrgos and Imerovigli. End the day at Oia’s Castle of Agios Nikolaos, with stunning sunset views of Santorini.